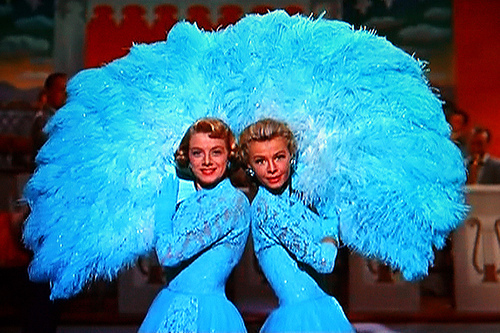 If you have not yet seen my favorite Christmas movie this season, it’s high time break out the classic, White Christmas. My kids tell me that people don’t burst into song in real life, but maybe life should be more like a musical. Music has a way of healing souls. “Sisters, sisters, there were never such devoted sisters…” My sisters fit this description perfectly. My older sister just came into town to help me for 5 days and it was so nice to have her here. This illness is giving me more time to spend with my sisters, which is time I am treasuring. We all have busy families and getting together is hard, especially with a sister living in California and our family in Mexico. Cancer is giving us reasons to get together, serve one another and enjoy each other’s company. 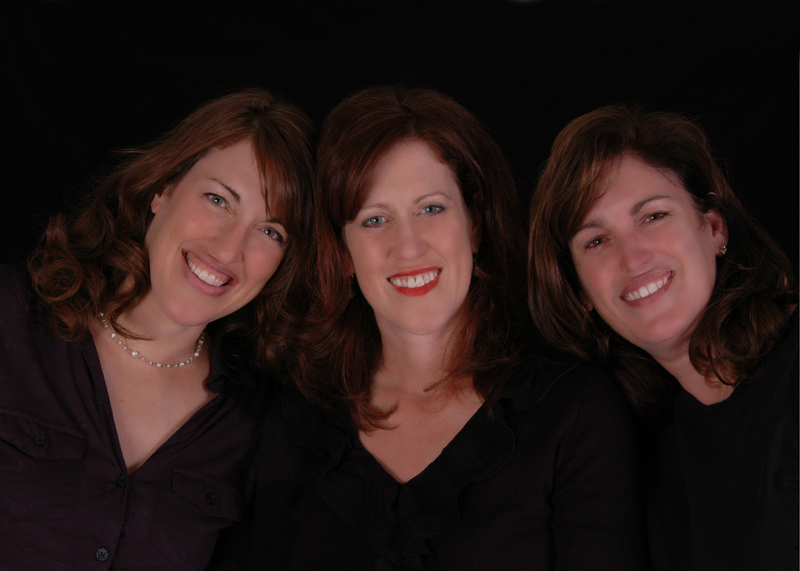 These are my sisters – the girls who have helped shape my life. I looked up to my older sister and wanted to learn how to become a beautiful girl by watching her. I noticed how she did her makeup, how hot rollers worked, and how she dressed. She has a great sense of style and could easily design and sew her own couture prom dress. Her sewing inspired me to learn how to sew as well. She taught me by example how to make beautiful things. She still brings me beautiful things and after this trip, I am the owner of a fabulous pair of red Christmas flannel pajamas. Thank you, Karen! She also led the way in cooking exploration. She built on Mom’s basics and tried new things. It is because of her that I ventured into trying new dishes every Sunday until I learned how to be a better cook. Her cooking abilities have served me greatly. During all of her visits, she has made me delicious and healthy food and has stocked the freezer with perfect soups and meals just for cancer patients. My younger sister was my pal at home. When we were younger, the only thing she ever wanted was my attention. When I practiced the piano, she would jump around the corner and push the lowest key and then jump back behind the wall. She would repeat this exercise until I jumped off the piano to chase her down and give her the attention she wanted. We would spend hours in the backyard just hanging out and talking, eating half gallons of ice cream with spoons out of the carton and making fun of high school social scenes. While our metabolisms have slowed down, our friendship hasn’t. She is now the one giving me a great deal of attention, even though she has a family with 5 of her own children to attend to. She has been a great source of comfort and cheer during this treatment. Seeing her often has been so much fun, even if it is in the infusion room or during a stem cell transplant. She is my pal and has brought me everything from food to blankets and has even taken over my knitting fiasco project. Most of all, she is a listening ear and great company. Thank you, Sondra! How grateful I am for sisters! The Father sends me sustenance in my sisters hands. The Father sends me solace borne in my sister’s hands. I started my chemo on Friday. I have to say that last week was really tough. Coming back to Utah for a second transplant is a bigger emotional transition than I expected and every stress in our life, from work to health, is peaking in the month of December. Why does everything come all at once? This is a subject for another blog, but I keep wondering why I can’t just have cancer for 6 months and have nothing else going on, for crying out loud. If women are the great nurturers of the world, who nurtures the women? Men can be nurturing in their own way, but women have an innate talent for noticing the emotional and physical needs of others around them and tending to those needs. When Mom is the one needing attention, what’s a girl to do? As I asked the smart women around me how they deal with this question, they helped me find three answers I was looking for – nurture your marriage, nurture your friendships and nurture yourself. Nurture your marriage. Paul is my best friend and is the one I turn to for support. This week I learned that getting the support I needed from my him would depend on me pinpointing what I was feeling and being very detailed in describing what I needed. Paul and I think differently and he is not a mind-reader. I was struggling with the many issues of cancer, but I was having a hard time describing what was making me upset. His first instinct was to fix the problem. I had to talk it through. Once I was able to isolate what was bothering me, I was able to describe what he could do for me that would be the most meaningful to me. Then we were able to work through it together. As I talked with my friend Georgia about nurturing one another in marriage, she told me about a marriage researcher named John Gottman who’s work was featured in Malcolm Gladwell’s book, blink. She says she is in love with this insightful Jewish man. For any marriage, his work is fascinating. I collect good material on families like some people collect stamps, so I share this because it is great information. Dr. Gottman says he can determine with 90% accuracy whether a marriage will last longer than 5 years. His research has lasted over 35 years and involved over 3000 couples. They have couples from all walks of life come into a room and discuss happenings of the day and then issues of conflict. If the heart rate of the individuals stay at a raised rate during the discussion, they have a 90% chance of divorcing within 5 years. If their heart rate is normal or drops, they have a 90% chance of staying married. How calm or gentle they were as they were conversing was the leading indicator. All of the couples had issues to deal with, but how they dealt with them determined their success or failure. The masters of relationships were gentle in bringing up issues and took responsibility for being potentially part of the problem. The disasters wanted to “fix” the other person and wanted to be thanked for their efforts in correcting the defects. Good relationships assumed friendship and respect. They asked open ended questions, like “What do you think about…?” or “How should we handle…. ?” They assumed that the other person is fundamentally good, not flawed and in need of criticism or fixing. The masters used affection, humor, and positive emotions. The disasters used criticism, defensiveness, contempt (superiority) and stonewalling (listener withdrawal). The masters could go through conflict, but could repair it. Nurturing my marriage means that I know his dreams and he knows mine. Nurturing your friendships. The gifts of women shine like diamonds to me after this experience. I find great support in calling my smart women friends, talking through ideas and listening to their counsel. They offer comfort in different ways than men. I am grateful for my membership in the world’s largest women’s organization, the Relief Society of the Church of Jesus Christ of Latter-Day Saints. This society’s mission is to provide relief to one another, and also to provide relief to those around the world. How I have needed this relief. The women I know and have served with in this church group have provided unbelievable support. They have brought me dinner, taken me to lunch, sent me notes, visited me and sent inspiring material my way. They lift me and relieve suffering. What a great society. Women are naturals at nurturing and nourishing. They give attention, offer food, listen, show love, pay attention to details, set their own needs aside for a time, and offer help and support. They are perceptive to what is going on around them. I have relied heavily on such remarkable women, especially being away from my family. They are sources of wisdom and comfort and I hope I can return the love. It is time well spent nourishing friendships with women. Nurturing yourself. My friend Pamela in Mexico City called me and said, “God is telling you to rest.” I awkwardly mumbled something about how 6 kids don’t let you rest, but she is right. In a normal time, I need to spend time and attention nurturing myself, and now even more so. To me this means spiritual nurturing – taking the time to read scriptures and spiritual talks, listen to uplifting music, and pray. This is how I center myself and gain mental strength. These things give me the right perspective and a sense of purpose. To me this also means recognizing my own hopes and dreams and spending time achieving them. This is very hard to do while tending to a family, especially with young children. But if I set my dreams aside or ignore them, it is easy to become a victim or martyr. If they are not important to me, who will they be important to? I realized that no one was going to do this for me. If I was waiting for permission or validation, I was waiting in vain. Now I am revisiting my list for my life’s purpose and mission. Being a wife and mother was on that list. My sister said that in elementary school I drew a picture of me, my spouse and our six children all turned and facing the sun. In my journal as a 15-year-old I wrote about wanting a family with 6 children. One of my life’s dreams has come true. The others will come, but only if I define them and go after them. I have a responsibility to nourish myself. These three answers; nourishing my marriage, my friendships and myself brought me great joy this week. We will get through the rest as it comes, one day at a time.